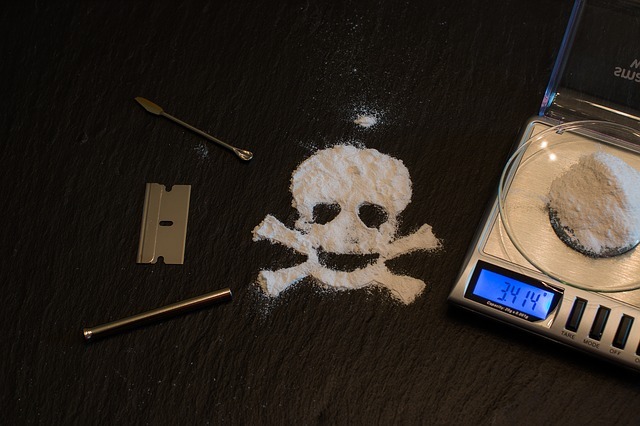 There is a common stigma, especially in teens, that “street drugs” (illegal substances such as cocaine, heroin, and methamphetamines) are more dangerous than prescription drugs. Children are brought up with the knowledge that street drugs have many negative side effects and pose a real danger, but knowledge about the dangers of prescription drugs is sorely lacking in teenagers. These drugs have potentially lethal effects and can lead to death. Some commonly abused prescription drugs include opioid painkillers, stimulants, and depressants, some of which have similar addictive properties and are as dangerous as illegal street drugs. After increasing community efforts to reduce the number of teenagers able to get their hands on prescription medication, a rural county in Ohio found that teenagers were turning towards illegitimate online pharmacies. From 2014 to 2015, questionnaires posed to teenagers in the county revealed an increase from one child to 188 children who reported obtaining drugs from the internet. Illegitimate online pharmacies make it much easier for teenagers to get their hands onto prescription drugs because many of these illegitimate businesses do not take due care in protecting their customers and children. With these dangers surrounding the online purchase of medication, it is important to find an authentic, legal online pharmacy that performs their due diligence. These legitimate online pharmacies are essentially no different from your local pharmacy. Online pharmacies have a licensed pharmacist who checks your prescriptions and fills your orders, a stated address, and is accredited by a trustworthy association like the Canadian International Pharmacy Association (CIPA). While there are legitimate online pharmacies that follow legal practices to ensure the process of filling prescriptions stays safe, there are also disreputable pharmacies. These companies use only questionnaires on their websites and fail to demand prescriptions for prescription drugs. This dangerous practice is not only illegal for those who need the medication, but also poses a huge threat to teenagers. A person with some rudimentary knowledge of chemistry and a pill press can make a pill with uncontrolled substances. There would be no quality control from these illegal activities, which makes these pills as dangerous as uncontrolled street drugs. Futhermore, it is difficult for local law enforcement to combat these drugs, as they are shipped right to an adolescent’s doorstep. Customs and the DEA work to reduce the flow of these drugs, but there are only so many shipments that they can catch. Easy access to prescription drugs compared to the relative difficulty of street drugs have caused a rise in drug overdoses, especially in teens.